Established in 2004, state licensed lender. CashNetUSA offers installment loans, lines of credit & payday loans. 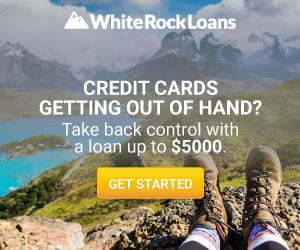 Online loans offered in more than 25 states. Interest rate may vary, depending on the type of loan, amount, and state. CashNetUSA is the leading online loan provider offering payday loans, installment loans and lines of credit for the residents of selected states in the U.S. The organization is headquartered in Chicago IL and was established in 2004. CashNetUSA is a part of Enova International, Inc. a publicly traded company on (NYSE: ENVA) and also a member of CFSA (Community Financial Services Association of America). 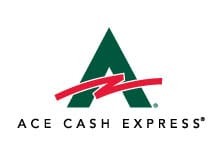 They currently offer their loan products and services in more than 30 states, plus they are the first licensed lender to provide payday loans and installment loans over the internet. The company believes in providing exceptional customer service to their clients. Therefore they have dedicated US-based customer service available 24 hours a day, seven days a week to answer your questions or concerns. Payday Loans at CashNetUSA can help you especially if you have a hard time covering your expenses, and you are in need of some urgent cash. The overall flexibility offered by them is really impressive, to begin with. If you want to get money fast, then you always try to find a good online lending solution that will offer quality and value in a very good package. With that in mind, CashNetUSA can be an interesting option because it enables you to acquire the money you need fast and with a great experience. CashNetUSA specializes in short term payday loans; the loan amount ranges between $100 to $1500. This amount may vary depending on the state where you are located. As a direct payday lender, CashNetUSA adheres to the state laws and will not fund loan more than the permitted amount. Application Process: – The entire process is online, the website and the application form have been designed ensuring that they’re compatible with all major devices and also quick and easy to complete. The form contains fields, asking your personal and sensitive information, to protect it all transactions and information is encrypted and sent through an SSL connection. The company not only offers a quick application that can be completed within minutes, but you also receive the decision instantly. In some cases, borrowers may not qualify for an instant decision and an additional verification may be required. CashNetUSA doesn’t have a lot of requirements, and as a result, it’s a lot easier for them to figure out if you have what it takes to receive the loan or not. Also if you get approved for a payday loan, the funds are released by the next business day directly in your account, and they will be ready to use. Safety 256 bit secure sockets layer. Verified by Symantec Corporation. State Licensed Licensed lender, since 2004. 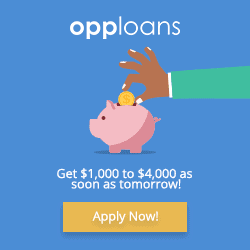 Loan Amount $100 to $1000 in Payday loans.. Amounts may vary depending on the state. APR Depends on the state law. Loan Period Depends on the state law. Funding Time As soon as next business day*. The states serviced may change without prior notice, visit the lender’s website for up to date information. Ohio Serviced as Credit Services Organization(CSO). Texas Serviced as Credit Access Business(CAB). Directlenderslist.com is a one-stop online platform, developed to connect loan seekers to Direct Licensed Lenders, Tribal Lenders, Trusted Peer to Peer Lending Companies, Licensed Credit Access Businesses, Registered Credit Services Organizations and Lender Connecting Services. We have added State Licensed Lenders, Tribal Lenders, Peer to Peer Lending Companies, CAB's, CSO's, Lender connection services and have listed them on our website. You can use the platform according to your requirement and the offer of your choice. We do not ask or collect any sensitive personal information or charge any fees for using our service. This site contains links to connect borrowers to the lender's website, to apply for a loan. We are compensated by our partners, in the form of commission if you get approved for a loan. Directlenderslist.com itself, is not a loan provider. You are requested to refer lenders website for complete and up to date information before applying for a financing. Payday Loans, Installment Loans, Title Loans are an expensive form of credit. Other alternative forms of credit may be less costly and more suitable for your financial requirements. Before borrowing, please consider whether you will be able to repay the amount you borrow along with interest and any other charges disclosed to you in your loan agreement with the lender. Customers with continued credit troubles should seek credit counseling. Direct State Licensed Lenders, Tribal Lenders, Peer to Peer Companies, CAB's, CSO's and Lender Connecting Services mentioned on the site do not endorse or guarantee, and will not be accountable for the content on the website. Directlenderslist.com is a one-stop consumer loan platform, designed to connect loan seekers to Direct State Licensed Lenders, Tribal Lenders, P2P Lending Companies, Licensed Credit Access Businesses and Registered Credit Services Organizations. This Platform can be used to compare various financing options available from direct lenders like Personal Loans, Installment Loans, Payday Loans, Auto Loans, Title Loans, and Home Loans. The site covers an overview of the financial products and services offered by the lenders. We have also researched and gathered few important pieces of information like states serviced by the lender, rates, and terms for our website visitors.